SO Much Fun at A Lakeview Heights B&B! 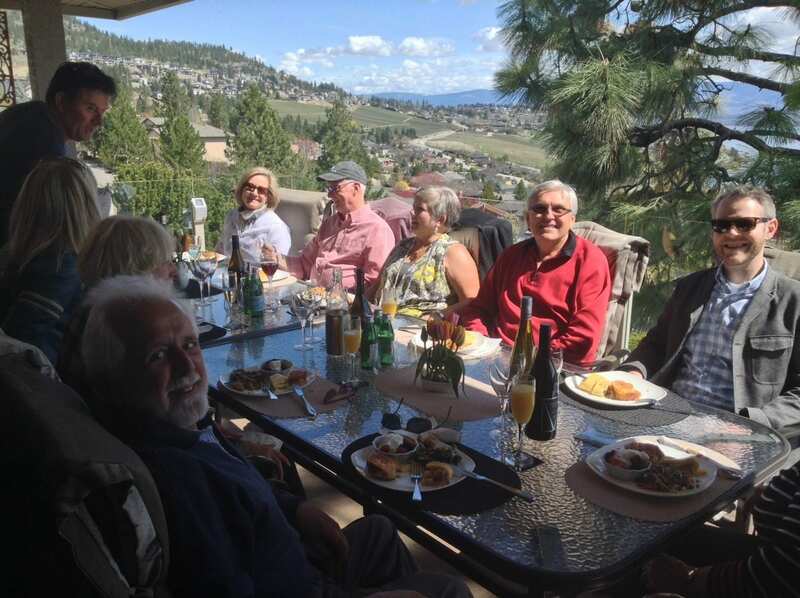 Mike and I were pleased to host a Brunch at the end of April for a wonderful group of people all of whom have stayed as guests here at A Lakeview Heights B&B over the years, become our friends, and now reside very happily here in the Kelowna area. Apart from 2 common links – knowing us and having stayed here – as often happens at our B&B breakfast table it was a gathering of strangers and a great opportunity for everyone to make new friends and also to chat about the joys of Okanagan living – obviously there was a lot of conversation, and of course the sun shone down on this fun event. We currently have 3 more couples (repeat guests) who are planning/in the throws of moving here, so next time the event may need to be a stand-up party! BREAKING NEWS: With yet another very snowy winter behind us, the media is, of course, giving the impression that the whole interior of BC is underwater, however, that really is not so. Obviously there are some areas where streams are bursting their banks, (particularly in the Similkameen Valley some 2 hours drive from here), and also some of the smaller lakes with no runoff capability, but Lake Okanagan, due to the foresight of the water management crews is actually quite low for this time of year and definitely open for all to enjoy sunbathing on the beaches, boating, paddleboarding, jet-skiing, etc. but perhaps a little chilly for swimming. 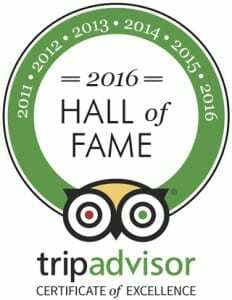 With temperatures hitting 30+degC this week, we would love to help you shake off the chill of other parts of Canada and meet you here at A Lakeview Heights B&B … winner of TripAdvisor’s Travellers’ Choice Award! See you soon. Cheers, Anne & Mike.